Boge Brothers Bake Better Bread. 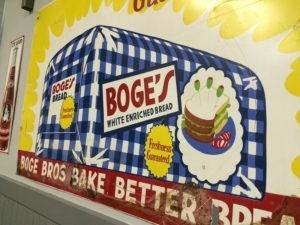 But is the Boge’s bread sign bogus? I thought. Actually, no : it turns out it was a wholesale bakery in Spokane in Washington State until 1995, at which time it was sold to Franz bakery. We went out for a sandwich for lunch on Wednesday here in Walnut Creek. The sandwich shop has a number of colorful vintage signs, some for Pepsi-Cola, and some for bread and bakery items. Check out the dagwood (multi-layered) sandwich with olives from the Boge’s bread sign. 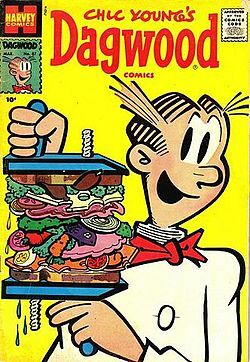 Dagwood sandwiches are named after Dagwood Bumstead, a central character in the comic strip Blondie (first drawn in 1936). In the Sunday paper in South Africa, the comic strip was called ‘Pantoffelregering’ .. loosely translated as ‘slipper government’ to indicate that Dagwood was ruled by the person wearing the slippers in the house (Blondie). Blondie at the time, was cast in the comic strip as the traditional housewife and homemaker, wearing slippers for the better part of the day. “Boge’s Bread” was my Grandfather’s Bakery in Spokane Washington. He just passed away last month at the age of 92 years old. Thank you for posting a picture of this treasure. What was the name and location of the sandwich shop? 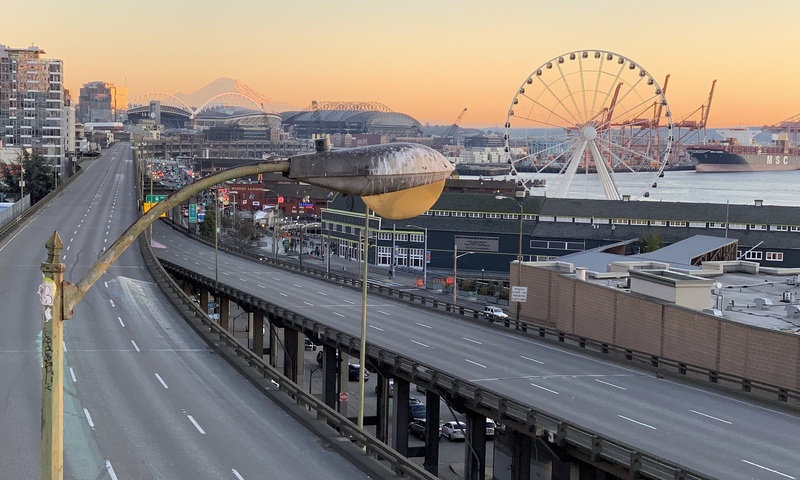 As for posting the picture – you’re welcome! I just liked the colorful picture of the sandwich, and the name! If my memory serves me correctly, the picture was on the wall in the seating area, inside A Sweet Affair Bakery, located on Ygnacio Valley Rd in Walnut Creek, CA.